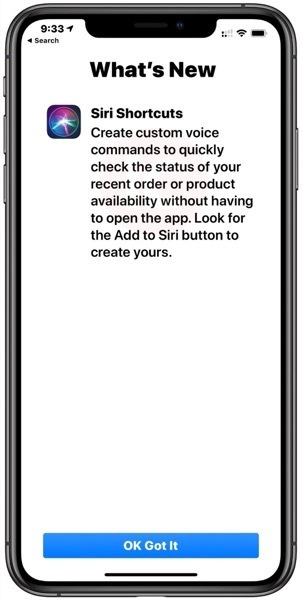 Apple has updated their Apple Store iOS retail app, to now support Siri Shortcuts, allowing customers to quickly check for updates with their voice. The app splash page explains, “Look for the Add to Siri button to create yours,” on certain product listings. The Canadian update also says “new iOS 12 features and capabilities make the app even easier to use,” without going into specifics. Siri Shortcuts work great, except nobody knows how the heck to create one or how they work. Click here to download the Apple Store iOS app in the App Store.